When you think of being eco-friendly, beauty products probably don’t jump to mind. 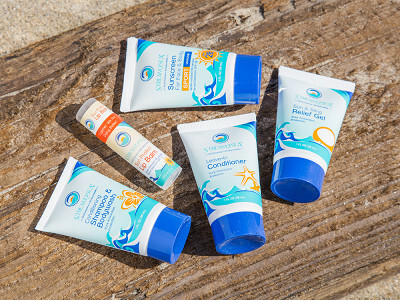 But even though sunblock, lotion, and soaps can benefit us, once they wash off in the ocean or shower, they make their way into our environment. That can harm coral reefs, marine life and more. 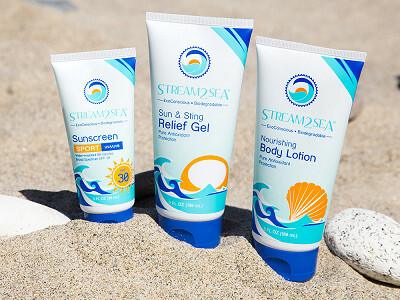 Stream2Sea makes sure their sunscreen and body care is good for you without hurting ocean life or the planet. Their certified biodegradable formulas endure rigorous testing to ensure there’s minimal effect on fish, coral, and other marine life. A cosmetic chemist and an avid diver, Founder Autumn Blum decided to create eco-friendly skin care for environmentally conscious people. While on a dive, she wondered how her repeated application of sunscreen was impacting the water. After she researched the harmful effects, she decided to make a safer alternative. 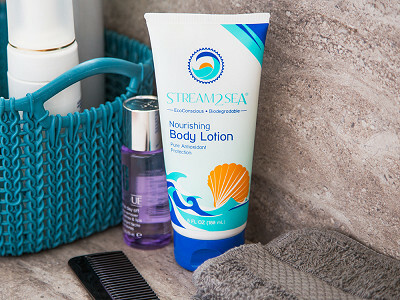 Even Stream2Sea’s recyclable packaging is made from sugar cane resins. That choice gives their containers a smaller carbon footprint than petroleum based alternatives. Caring for yourself is always a good idea. And when your choices are eco-friendly, it’s even an even better one. Hello everyone! 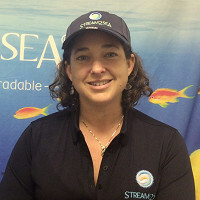 I’m Autumn, Founder and Formulator at Stream2Sea, and am thrilled to introduce our EcoConscious & Biodegradable products to the Grommet. 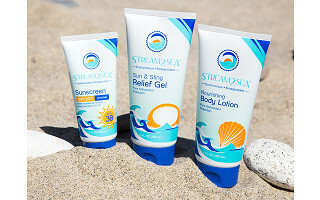 As a natural products cosmetic chemist, avid scuba diver and environmentalist, I created Stream2Sea to reduce the potential impact our sunscreens and body care products could have on our waters. I’m happy to answer any questions you might have! I am interested in fragrance-free products. 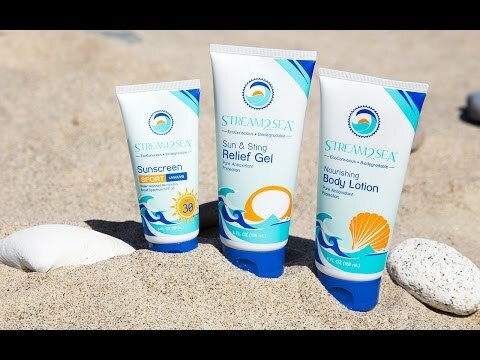 What is the fragrance of your sunblock and even other products? Also, Is this safe for the face as well as the body? Thank you for your interest. 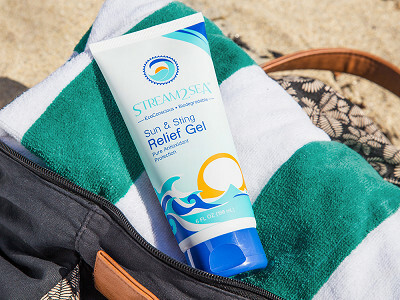 Our Sunscreens are completely fragrance free. 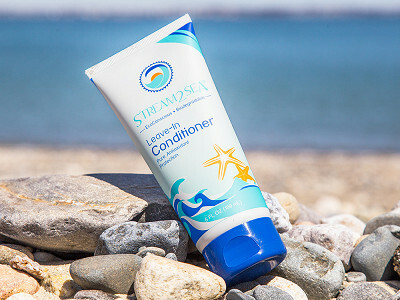 Our other products are all lightly fragranced with natural, phthalate-free aromatics. Both Sunscreens are safe for your face as well as your body. 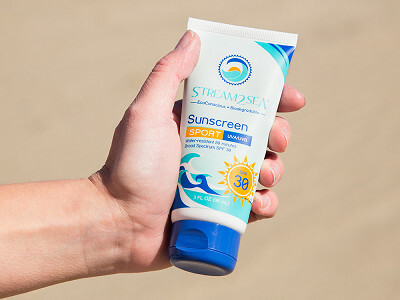 The SPF 20 is a lighter formula with slightly less Titanium Dioxide so more people prefer it for both. I was wondering if this amazing sounding product is tested on animals? We do test our products to ensure they will not be harmful to fish and other aquatic life as a whole. Because there are no options that effectively assess aquatic toxicity, our testing does include testing on fish bred for this purpose as well as coral larvae that is consciously obtained. We are opposed to animal testing when there are other alternatives. Wow I love your story. I'm interested in trying the lotion. How long does it take this product to come off in the pool or ocean? Will it leave the oily residue in the water? It looks thick and it sounds like you've done your diligence testing the chemistry of the product, but is there still run off product? In a pool should I expect the chemicals used to effect the pH?